Weddings Italy organizes both civil and religious ceremonies in Italy: Wedding in Tuscany, Wedding in Amalfi Coast, Wedding in Rome, Florence Wedding, Siena, Venice, Verona, Italian Riviera, Sicily, Sardinia, Wedding in Capri, Taormina, Portofino, Portovenere, Cinque Terre, Italian Lakes, the Republic of San Marino and many other superb locations. Weddings Italy provides the most beautiful palaces, churches, castles, villas and terraces. All the details of an Italian wedding, including the reception and honeymoon are produced, with high quality services and assistance on every step of the process. Note the photos of some of our happy couples below. Please look at our wedding testimonial section. See how some recent wedding couples have expressed their happiness with our services. We are very proud of the confidence they placed in us and their satisfaction with the results. You can fill out your requests on our wedding registry, where we give you the chance to explain exactly what type of wedding in Italy you desire. Weddings in Italy offers the unique ability for couples to have one ceremony, recognized both civilly and religiously. As the only coordinators in Italy able to arrange this, we can help you plan your wedding anywhere you like (castle, villa, palace, hotel, church). Weddings in Italy looks forward to hearing from you. We can make your wedding day and your entire stay in Italy the most romantic and memorable time of your life. A destination wedding is an unforgettable and unique experience. The most important immediate decisions are the location and date for your beautiful wedding. The options are many and each can be magical in its own way. Let us help your find the right "fit" for you. All the other details will fall into place easily after the initial decisions. We will be pleased to take care of every single aspect of your special day and allow you to be worry-free. 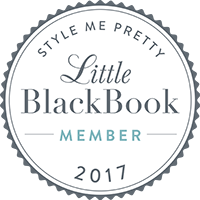 When you read through our testimonials and check our numerable references, on our website, you can verify that we exceed expectations! We arrange weddings all over Italy. 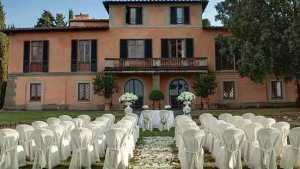 See our many locations such as: (Wedding in Tuscany, Amalfi Coast, Florence, Rome, Venice, Siena, Sardinia, lake area). Weddings in Italy has access to some of the most beautiful churches in the world. The Catholic faith is such a deep part of the history of our country. The architecture and the beauty of our churches make for a magnificent backdrop for your wedding. We have well-known churches, full of art masterpieces for your Wedding in Rome or your Wedding in Florence, as well as smaller churches tucked in the Tuscan countryside. The Amalfi Coast has wonderful cathedrals in their picturesque towns. The hills are a perfect place for your Wedding in Tuscany. Tuscany is a charmed wonderland, equally blessed by the genius of man (such as the works of Leonardo Da Vinci and Michelangelo) and by nature: unknown villages with romantic chapels, ancient castles, fantastic frescos... in Tuscany there are thousands of masterpieces. Enjoy the Tuscan charm, discover its allure and let us arrange your Wedding in Tuscany. A wedding in Tuscany can be incredibly romantic. 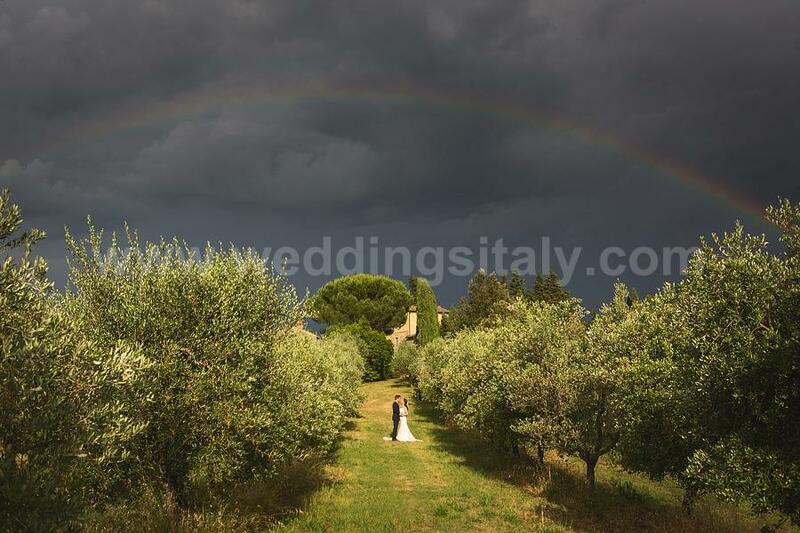 Weddings in Italy arranges customized weddings to suit each bride and groom's vision. Tuscany is a charming land with rolling hills and thousands of works of art. You can marry in a small chapel on hills of Tuscany or in enchanting castle overlooking Florence. Intimate Weddings in Florence: getting married in Florence, the heart of the Renaissance, is quite extraordinary. We can arrange Catholic and Protestant weddings in the most important churches in Florence. 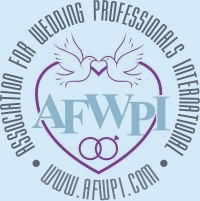 Our wedding planners are located in Florence. 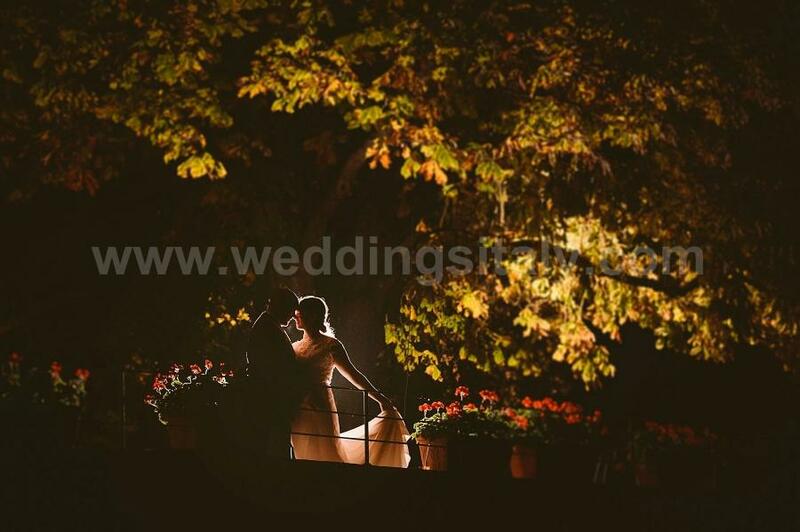 Visit our section Wedding Photographer in Florence to view some of our past weddings in Florence. Let us plan your Wedding in Venice: a most romantic place to celebrate a dream Italian wedding. 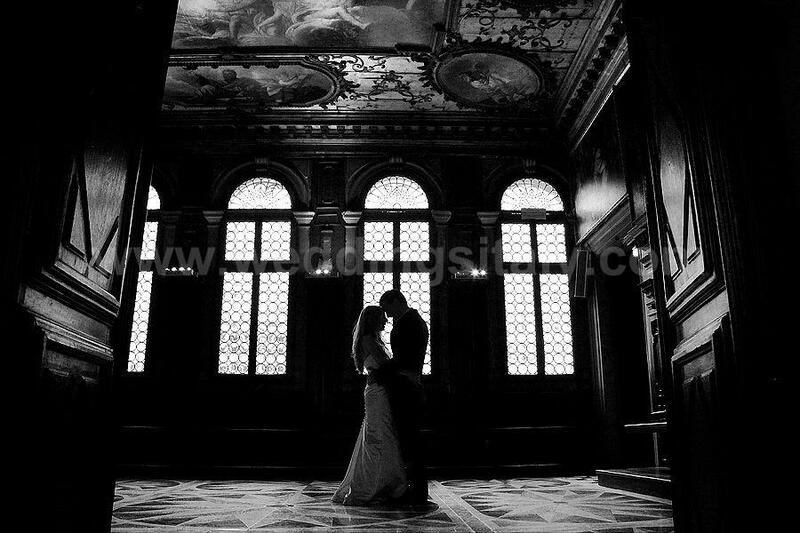 Picture getting married in a Venetian palace on the Grand Canal. We are the only company who can arrange weddings, with civil validity, on gondolas! We have a professional, candid photojournalistic style wedding photographer in Venice . A wedding in the eternal city: Wedding in Rome: Weddings in Italy coordinates charming weddings in historic palaces and ancient churches, close to famous works of art. Getting married in Rome: Rome is a perfect location for your wedding. Weddings in Amalfi Coast: The Amalfi Coast, with its deep blue sea and its fantastic terraces overlooking the sea, provides a spectacular backdrop for your wedding. Let us arrange your wedding on the Amalfi Coast, in the most romantic and charming villas in Sorrento and in Positano. Weddings in Italy coordinates weddings in secluded and exclusive locations on the famous Isle of Capri. A Wedding in Capri: a breathtaking island made up of magnificent cliffs and caves, Moorish architecture, tiny town squares, and narrow medieval alleyways. We can arrange select weddings in private villas, terraces, and hotels on Capri. Getting married in Italian romantic locations. Weddings in Italy arranges religious, legal and symbolic weddings in Italian palaces in Florence, Rome, Venice, Verona, Milan, and Siena. Let us arrange your wedding in a charming palace! We organize fantastic weddings in Italian castles in Tuscany, Umbria, the Amalfi Coast, Rome, Siena, Florence, Chianti, and on the Italian Riviera. 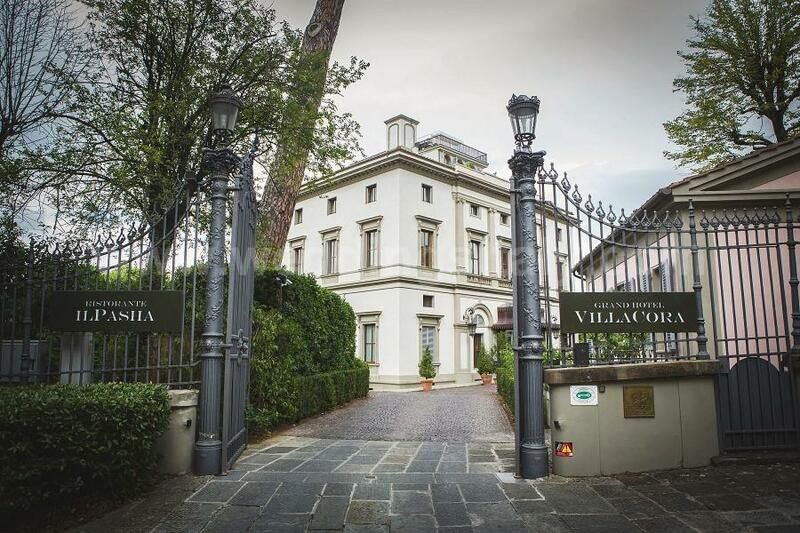 Weddings Italy works with about 1000 villas in Italy! We organize Weddings in Italian Villas throughout Italy: villas in Tuscany, Venetian villas, villas on the Amalfi Coast, villas in Capri, in Rome, in the Chianti region, villas in Sicily, in Sardinia, and in Florence. We arrange exclusive and sometimes unusual weddings: gondola weddings in Venice, weddings in the famous Blue Grotto in Capri, weddings on breathtaking boats, exclusive wedding at waterfalls - even weddings in hot air balloons. Luxury Car Rental in Italy by Regency offers a wide variety of luxury sports cars for hire for a most pleasurable way to travel. 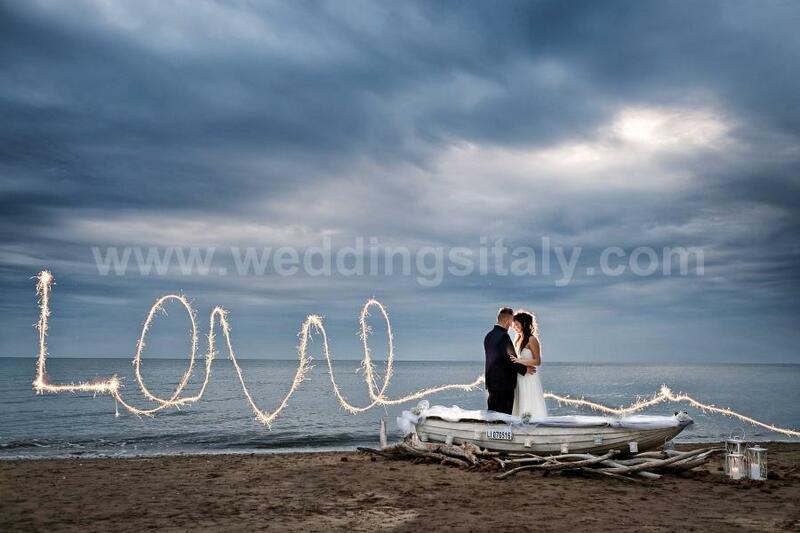 Weddings Italy offers professional wedding photography in all areas of Italy. Their exquisite work can be in the traditional or photo journalistic style. See Wedding Photographer in Italy. Our Wedding Photographer in Tuscanyspecializes in black and white, documentary wedding photo journalism, bridal and engagement portraits. They offer a new perspective on wedding photography. In fact, they capture each moment as it happens, preserving the details and the romance of your wedding day, forever. Weddings Italy can offer you Wedding Flower Arrangements in Italy and Bouquets in Italy. We can arrange for your wedding every kind of music in italy: classical music for your religious ceremony, opera singers (tenors or sopranos, jazz music, pop rock music, dj.  We can offer bands for your reception, cocktail and party.